Since 2015 Transport Focus has carried out a wealth of research with road users to find out what they want when travelling on motorways and major ‘A’ roads. Covering a broad range of subjects such as experiences of smart motorways, road surface quality and tunnels, this has made a number of recommendations to influence positive change for users. The Incidents and roadworks – a road user perspective research has provided a timely contribution that has helped encourage change that benefits thousands of drivers. Changing policies and procedures takes time, so it’s refreshing to see our recommendations being implemented on various routes around the country. Take for example speed limits through roadworks. Transport Focus called for speed limits to be set no lower than is necessary to ensure safety, rather than a blanket 50mph regardless of what was happening. Roads are dangerous – for roadworkers and drivers alike, and often for reasons that may not be immediately obvious – and in some locations lower limits are needed. However, where there are significant stretches without a risk to roadworkers, for instance if there aren’t any there, then higher speed limits should be considered. That’s exactly what road users now find when travelling through the smart motorway roadworks between junctions 18 and 19 of the M6 in Cheshire. This is a significant step, and one that will benefit road users. The speed limit has increased on one section of roadworks from 50mph to 60mph. This is where Highways England is now testing the signs and other equipment before full opening later this year, and fewer roadworkers are physically on the ground. As more of the scheme goes into the testing and commissioning phase then more sections will get an increase in speed limits. 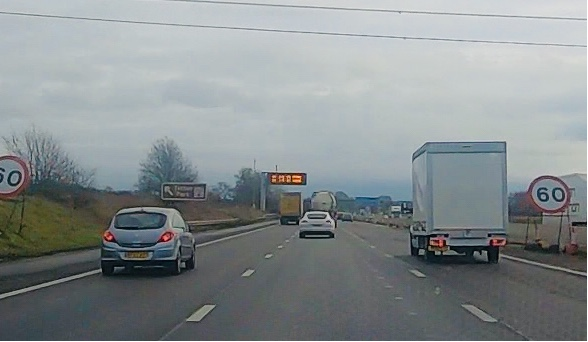 Transport Focus has also told Highways England that more needs to be done now to explain why there are different speed limits, so that drivers appreciate why some sections still need a 50mph limit. Transport Focus continues to press Highways England to implement all of its recommendations as quickly as possible, so road users feel the benefit, as on the M6.